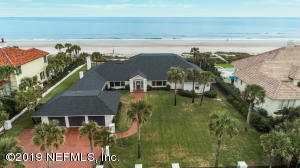 Listing Information Courtesy of: Ponte Vedra Club Realty, Inc. 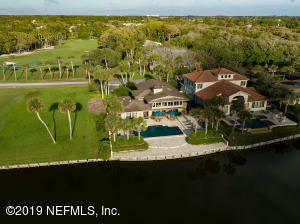 Spectacular Mediterranean Revival Estate situated privately at the quiet end of Harbour Island. This 11,745+/- sq ft under roof luxe custom residence features the richest materials sourced from around the world including but not limited to: cherry flooring; reclaimed French stone floors; reclaimed floors from Jerusalem; mahogany panels and extensive hand crafted woodwork throughout. A chef's kitchen will make family meals a pleasure or allow the best caterer's in town to make smooth work of the largest party. Soaring ceilings, multiple fireplaces, an elevator, theater and library will leave nothing to want and that is just inside. 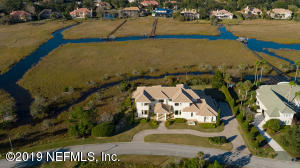 Outside you will find a private beach with sand volleyball, 500 ft dock with 24/7 access to the intracoastal. 60 ft slip also included. See additional comments. 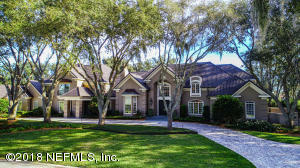 THIS HOME SITS ON ONE OF THE BEST, IF NOT THE BEST, LOT IN OLD PONTE VEDRA. EASTERN EXPOSURE WITH A FABULOUS OUTDOOR LIVING AREA AND WATER TO GOLF VIEWS TO THE BLVD. MOST OF THE LIVING AREA IS UPSTAIRS TO CAPTURE THE BREATH TAKING VIEWS OF THE 16TH GREEN & 17TH FAIRWAY OF THE PONTE VEDRA INN & CLUB'S OCEAN COURSE. ENJOY YEAR ROUND OCEAN BREEZES, SPECTACULAR SUNRISES AND AN UNSURPASSED LIFESTYLE FROM THIS CLASSIC HOME. 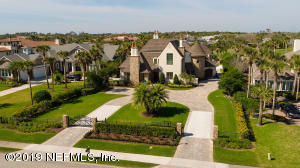 EASY ACCESS TO THE BEACH, PONTE VEDRA INN & CLUB/SPA, SHOPPING & JTB. 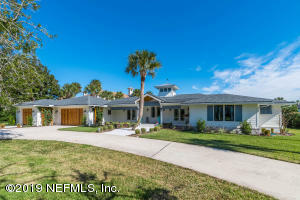 Gorgeous coastal contemporary design nestled on a private, enclave street known as Swift Creek Island. Built by Victory Homes, this grande estate is nothing short of spectacular. Enter to 12ft ceilings, marble floors, picture windows and sliding glass doors. The kitchen features Viking and Subzero appliances and butler's pantry. Salt chlorinated pool and spa, marble pool deck. Fabulous outdoor living with screened lanai and summer kitchen. Take the oversized elevator to your master suite with private balcony and large built out custom closet. Oversized 3.5 car garage leads to a separate gym entrance with steam shower. This home is a fortress made of poured concrete block with steel reinforcements and feng shui principles applied to all facets of design. An exceptional home and lifestyle.